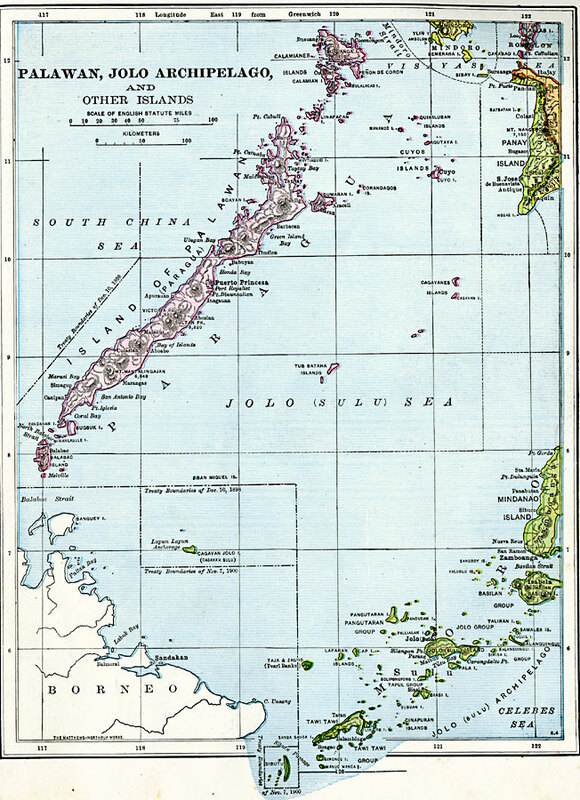 Description: A map from 1906 of the southwestern Philippine Islands of Palawan (Paragua) and the Jolo (Sulu) Archipelago. The map shows the boundaries of the Philippine territory established under the Treaty of Paris at the end of the Spanish–American War (December 10, 1898), and the inclusion of Cagayan Sulu and Sibutu under the Treaty of November 7, 1900. The map shows cities, mountains with elevations given in feet above sea level, islands and coastal features of the island groups.